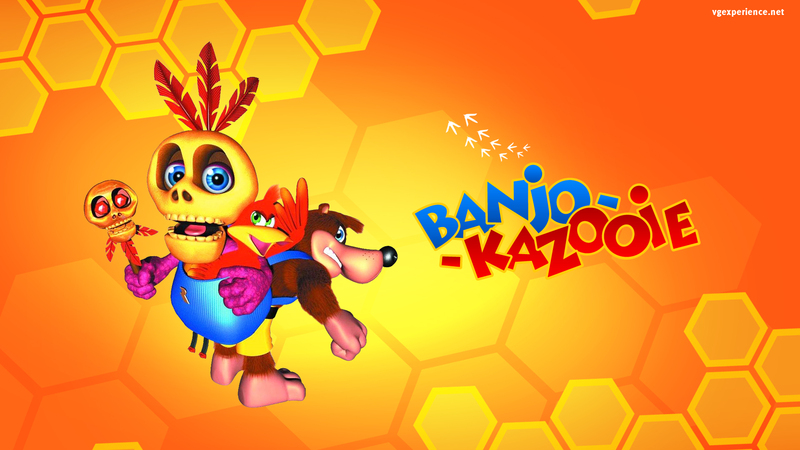 Краткое описание: Action and Puzzles and Bears. Oh My! 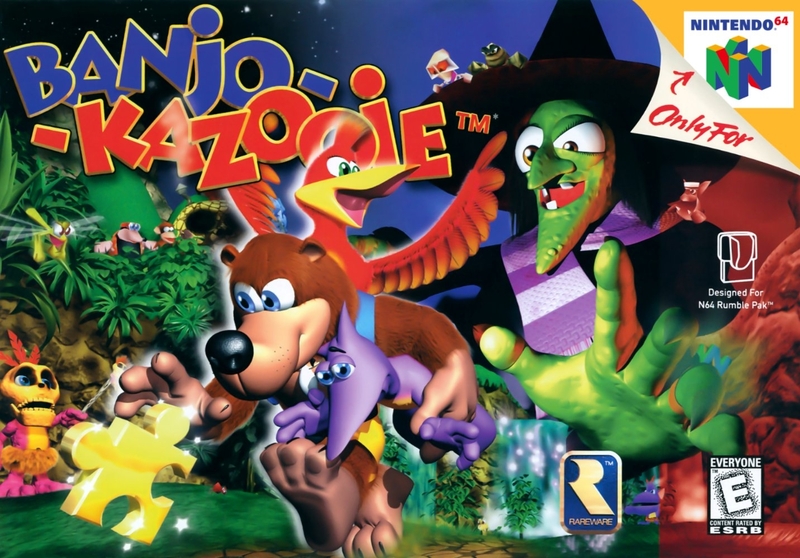 Trouble brews when Gruntilda the witch captures the unbearably beautiful cub, Tooty. 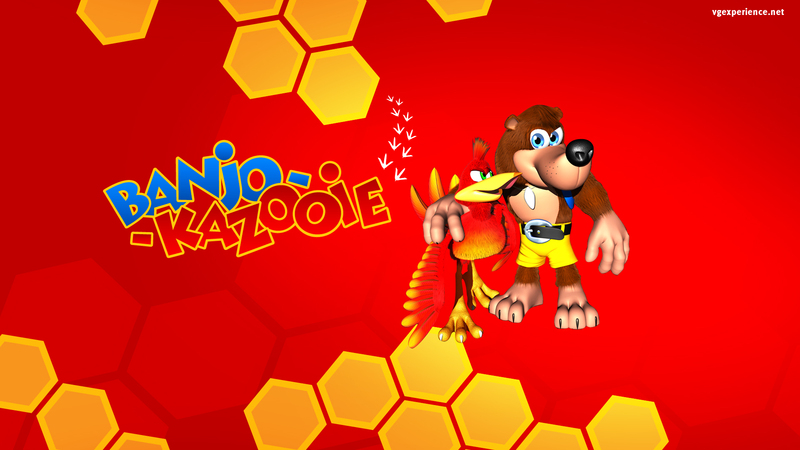 But before the grisly hag can steal the bear’s good looks, big brother Banjo and his fine-feathered friend, Kazooie, join forces to stop her. 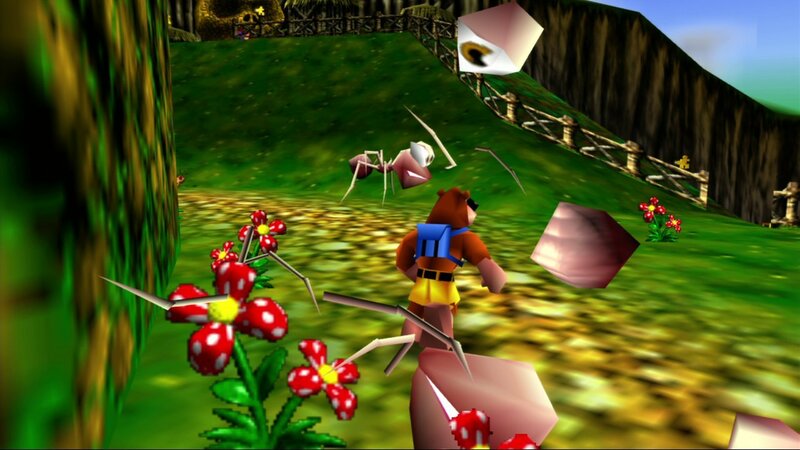 Combining their 24 moves and special powers, Banjo and Kazooie will fend off armies of beasts. 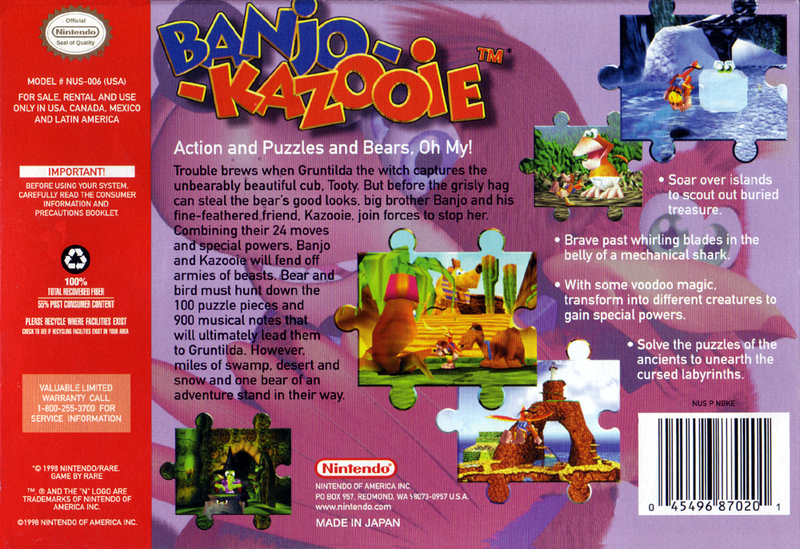 Bear and bird must hunt down the 100 puzzle pieces and 900 musical notes that will ultimately lead them to Gruntilda. 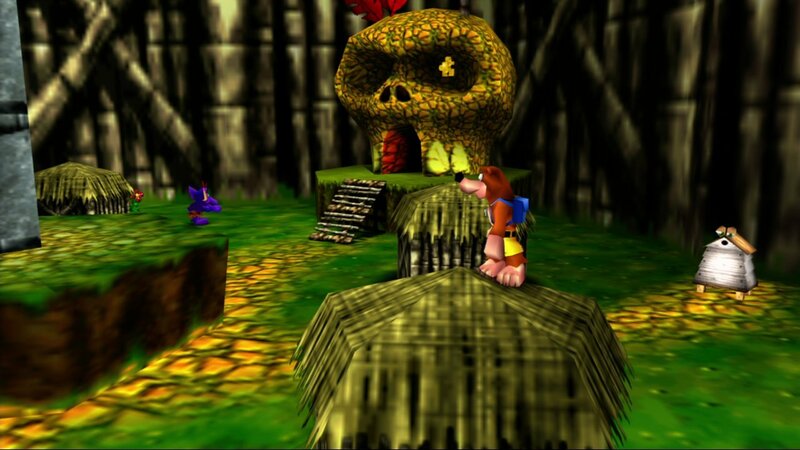 However, miles of swamp, desert and snow and one bear of an adventure stand in their way. 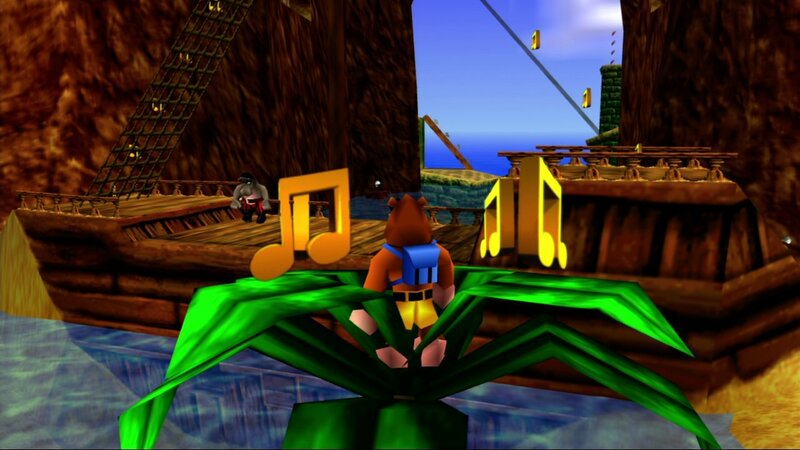 • Soar over islands to scout out buried treasure. • Brave past whirling blades in the belly of a mechanical shark. • With some voodoo magic, transform into different creatures to gain special powers. • Solve the puzzles of the ancients to unearth the cursed labyrinths. 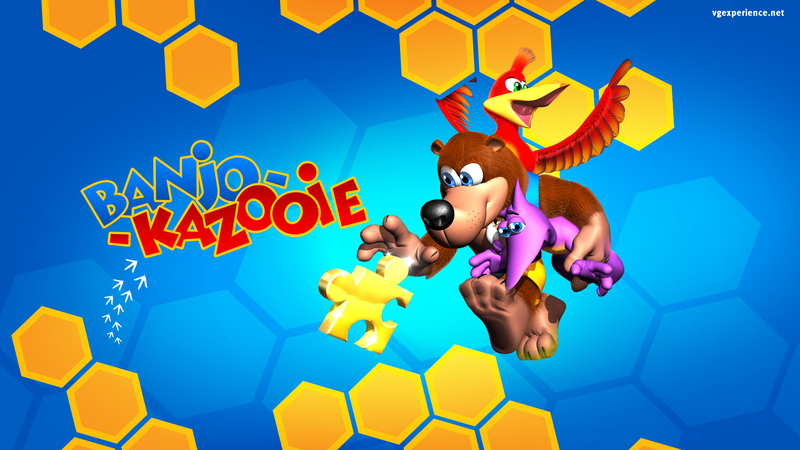 Action and Puzzles and Bears. Oh My! • Solve the puzzles of the ancients to unearth the cursed labyrinths.